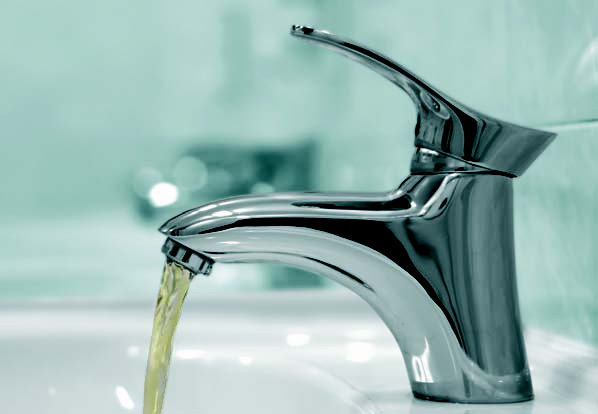 You count on the water coming from your taps to be clean and clear. So what if the color and taste are suddenly a little off? The culprit could be rust, and depending on the age of your pipes and water heater, it could be coming from inside your house. There’s also a chance rusty water could stem from your public water supply, especially if you live in an older city that hasn’t refurbished its water system in many decades. But before you even call your local plumber, you can collect a few clues that can point to the source of the problem. It often doesn’t take a laboratory test to determine if the impurity in a water sample is rust. Sufficiently rusty water will have a distinctive metallic odor and a reddish brown appearance. The rust particles themselves are oxidized iron, and while they can leave unsightly stains in your porcelain sinks and white linens, they don’t pose a health hazard, according to the University of California. One exception may be people afflicted with a rare disorder called hemochromatosis, which allows the body to accumulate excessive iron levels. The first question is whether the rusty water is originating within your home plumbing system or in the public supply. To investigate, go to the fixture where you first noticed the rusty water and fill a glass with cold water only. Check the sample for rusty odors or coloring, then let the cold water flow for several seconds before checking another sample. Next, run the hot water for several seconds and sample that. If the rusty water is only present in the hot water supply or if it goes away after several seconds of running water, those are both strong indications that the rust source is in your home. But if you have continuous rusty water in both taps, you should call your local water authority immediately to report the problem. Your DIY test should also help you further narrow down the source if you find that it’s coming from within your home. If rusty water came from the cold water tap, that indicates a corroding pipe or pipes in your home plumbing system. And if it’s coming only from the hot water tap, that means your water heater is probably rusting out. No matter the cause, the fix comes down to one word: replacement. If an old section of the public water system is rusting out, it’s the public authority’s responsibility to replace those failing pipes. And if the same is happening to the pipes in your home, a qualified plumber can conduct a thorough investigation to identify the rusty pipes and craft a plan to replace them. If the source is your water heater, replacement is also the recommended route. Once corrosion begins, it will usually progress until the integrity of the tank fails completely. But there is one important thing you can do to avoid your new water heater from suffering the same fate: replace the anode rod every few years. An anode rod is a long, metal rod that extends into your water heater tank. Its purpose is to attract corrosive particles so they attack the rod and spare the water heater. But the rod itself is eaten away in this process, and when it’s whittled down to its core, there’s nothing stopping those particles from moving on to attack the tank. The lifespan of an anode rod is typically five years, or shorter if you have a water softening system. Do you need help investigating the source of your rusty water or inspecting your hot water heater to make sure it’s protected? Contact Reasonable Rooter today for a free, no-obligation estimate.